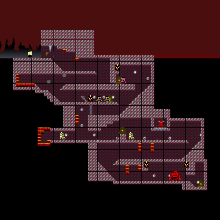 You have come to the Molten Rock Cave. Your Goal is to take the valued gems inside. These gems are called The Diamonds of the Crater. The Raiders that are in the cave have cleared out the first half of the cave; you must take the gems they found and the gems further in the cave. Note: Monsters deeper in the cave are not as easy to kill as the raiders.